Tipsandtricksfor selected the best moves and we give tips in this Booster Guide for Toon Blast. Get to know everything about the Toon Blast Boosters and read about the best combinations in Toon Blast. Good luck finishing the levels with this Toon Blast booster guide. Receive by a 7 or more combination. 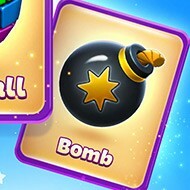 The bomb booster will clear a 3 x 3 area on the board. Receive by a 9 or more combination. 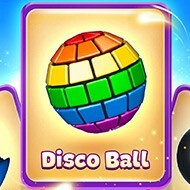 The disco ball booster is a very good booster because it’s clears all the tiles of the same color in the playing field. Receive by a 5 or more combination. The rocket booster will clear a complete line vertically or horizontally. The hammer booster is pretty handy when tiles are blocking your objectives. Use the hammer booster to remove one tile in the playing field. 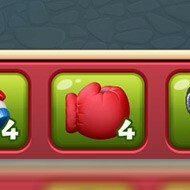 The boxing glove booster clears a complete row in the playing field. When using the anvil booster a whole column will be cleared. When using the dice booster the whole board gets shuffled. 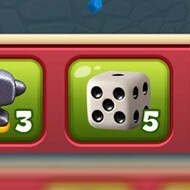 When you’re stuck in a level it’s very handy to use the dice booster. Use this booster only when you do not see any moves available. When you’ve more than one boosters available in the playing field it’s possible to combine them in one move. Try to get both boosters in one move and a special effect will be created. It will give you a great boost and the playing field refreshes almost completely. Combining a bomb booster with a rocket booster will remove 3 x 3 rows and colums on the playing field. When there are special tiles (like balloons or bubbles) these will also be removed with this special move in Toon Blast. Combining a disco ball booster with a bomb booster will create a great special move. All tiles with the same color as the disco ball will be transformed into bomb boosters. This creates an amazing move with a lot of points. When you combine two bomb boosters in one move there will be a massive explosion. Very useful when the level is pretty difficult. 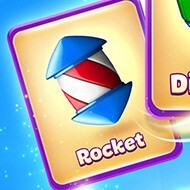 When you combine two rocket boosters in one move in Toon Blast you’ll clear two rows in one move. 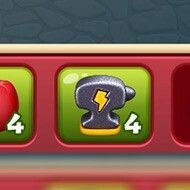 It’s possible to buy extra boosters or extra lives. But it’s better not to do this. 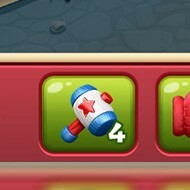 Just play the game try to make sick combinations in Toon Blast and you’ll receive many boosters.